Google continues to make progress with its latest and most successful attempt at a social network. 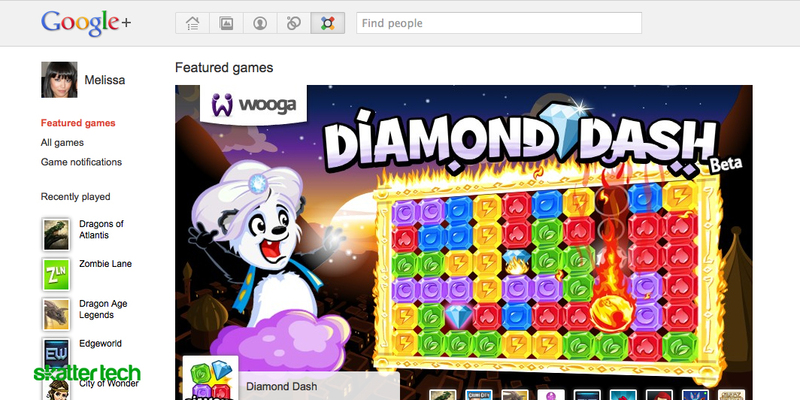 Today Google+ adds games. It is a great implementation that will not distract from the social aspects of the website. To get started, users can just click the new games icon in the navigation bar at the top. At the moment, there are not many options — exactly sixteen. Some examples are Angry Birds, Flood-It, Sudoku, and Bejeweled. Developers will hopefully help to expand the library of titles over time. I was at least glad to find an intuitive user interface for browsing through the selection. The sidebar lets users navigate between featured games, all games, and game notifications. The latter is where Google+ stores any invites. Google gets it. If some users would prefer not to participate in any games, Google+ will not constantly bombard them with alerts popping up in the stream to serve as an annoyance. Users who enjoy flinging furious birds into pigs can still get their daily dose of entertainment just a click away. Google was clearly careful and cautious about the best method to introduce gaming to the platform. There is no word on any other further application support in Google+, though I do not see it as necessary. Just like all other new features on any major website, Google+ Games will slowly roll out to everyone. If you are on Google+ and receive this feature, the Send Feedback button remains on the bottom right to report back comments or concerns at any time.